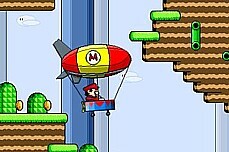 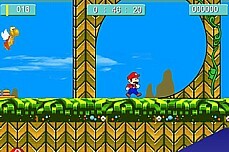 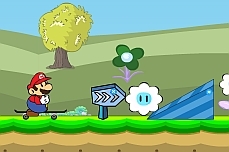 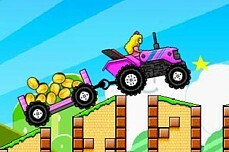 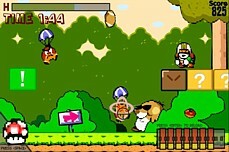 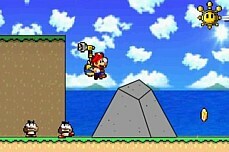 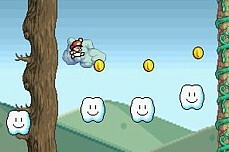 Monoliths Mario World III is another great flash game spun off from Monoliths Mario World II. 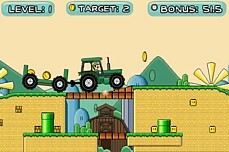 You start at Level 1 Greenfields and have to work your way past multiple levels and baddies along the way. 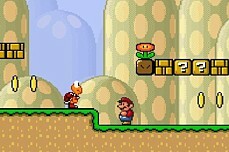 Mario World 3 doesn't quite have the depth of the 2nd flash game but it's still pretty fun. 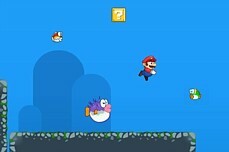 In The Adventure of Super Mario Water you must race against the clock as you search for the exit in this water themed game. 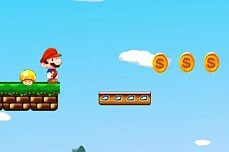 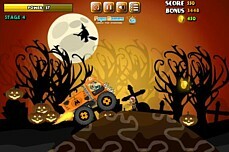 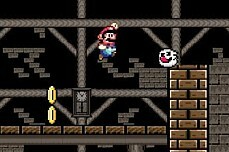 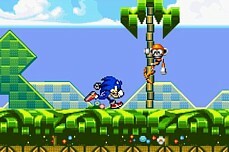 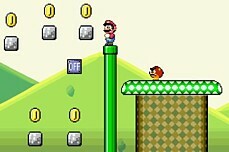 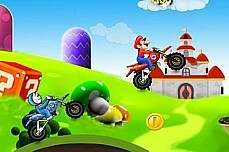 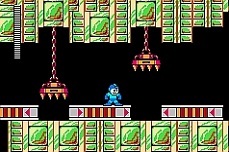 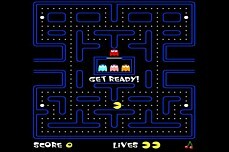 Navigate each level collecting all the coins. 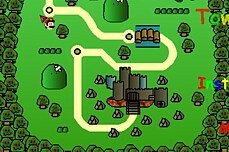 Once you have all the coins you can exit via the little castle on the right. 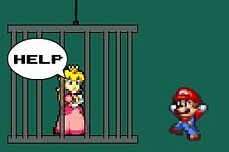 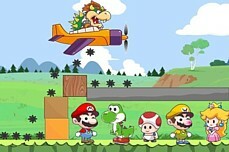 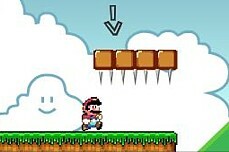 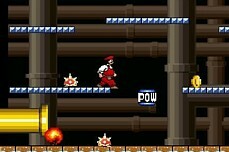 Fortify Mario, Princess, Yoshi, Toad, or Wario behind walls of blocks to protect them from Bowser's air raids. 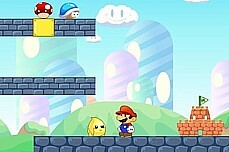 20 levels to solve. 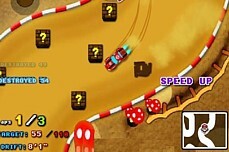 Cruise to the finish and try not to spill the coins as you drive. 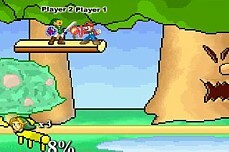 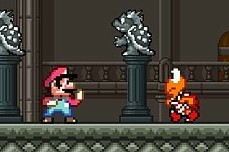 Unlock extra characters like Princess & Yoshi. 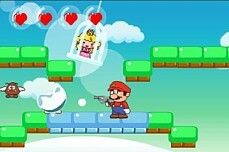 Shoot your enemies until they become a snowball then push them. 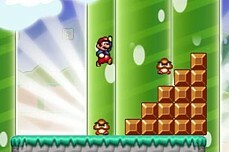 Clear all the enemy waves to beat each level. 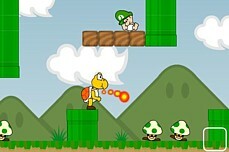 Koopa must embark on another journey to avenge his poor friends. 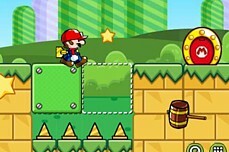 Great Mario platform spin off complete with an overworld map.